It might sound far-fetched that there are natural substances that can detoxify not only radiation, heavy metals but also toxins and GMO toxins, mold, fluoride, gangrene, infections, parasites, candida yeasts, viruses and bacterial overgrowth—effectively and safely! 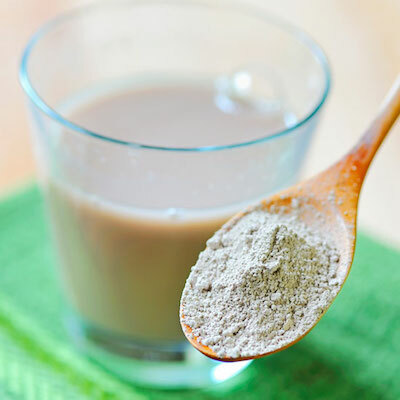 Yes, Diatomaceous Earth (DE) and Bentonite Clay are two such powerful natural resources that have been widely used in detoxification for healing of many ailments. Many people experience improvement after a course of clay detox cleanse. Most toxins, pathogens, impurities and heavy metals in the body are positively charged. In its natural state, the clays are negatively charged, thus allow them to attract and bind to each other to be excreted from the body. Clays don’t stay in the bloodstream, hence it does not cause any toxicity. A healthier gut flora in the digestive system. As many chronic diseases develop due to poor gut health and immune system, getting the gut flora back to balance means a great deal in improving a total wellbeing. Overall feeling of wellbeing and having more energy. Be sure to get only high quality, food grade clay. There are also liquid form of the clays but for detox purpose, they are not as effective as the powder clay. Although DE, Bentonite clay and all other food grade clays are safe for human consumption, it is not recommended for women who are pregnant or nursing. If you are on any prescription medication, check with your doctor before you start any form of detox. The clay may be ingested two hours apart from your medication. Clays are best to be taken on an empty stomach, either early in the morning or before bed. Do not take any medicines or supplements within two hours of taking clay. All human grade clays are ground into very fine powder. Take care not to handle these clays in a windy place. Be careful to ensure there is no direct inhalation, nor allow it to get into the eyes. Clay does not dissolve in water easily, so it is advisable to keep stirring (with a wooden spoon) as you drink (or see the other method of making your clay water below). No matter how good any clay is, DO NOT take more than the recommended dosage. More doesn’t mean better. Eating too much and drinking insufficient water may cause constipation as clay particles can absorb and carry water many times its own weight. 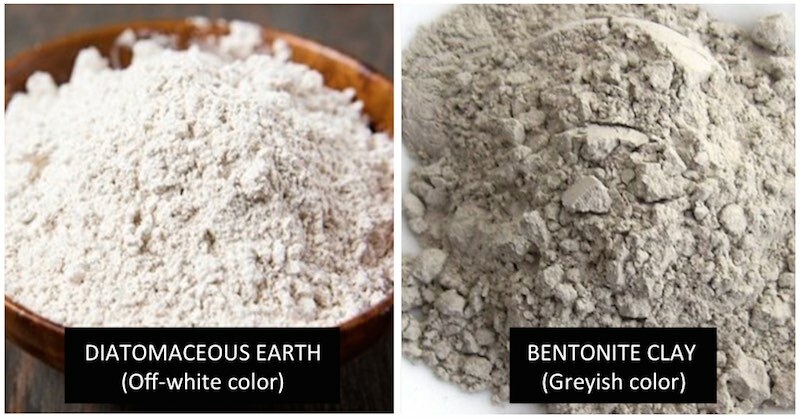 Read about the health benefits of Diatomaceous Earth and Bentonite Clay. Clay water is tasteless and odorless, but because it doesn’t dissolve in water, there may be a mildly gritty sandy texture as you drink it. You may add clay into your juice, or smoothie to mask the texture, but it’s good just to simply drink it in water. In a mason jar or a shaker, fill up about 8-10 oz of slightly warm water, add all the ingredients, tighten the lid, shake and drink immediately. Drink another two full glasses of 8-oz water (another 16-oz) immediately following your clay water mixture. This is important to ensure that you’re properly hydrated, and all the clay goes down. For a beginner, take 1 teaspoon of clay a day and gradually increase to 2 teaspoons a day (only if you’re drinking sufficient water daily). Take a break after four weeks, then repeat every other month, or whenever you feel your body needs another cleanse. Monitor for yourself and listen to your body to find the right daily amount that is suitable for you. Being constipated means you’re taking too much and not drinking enough water. If you’re having regular and smooth bowel movements, then you know the amount is right for you. If you looked closely at your excreted stools, you may even see some parasites in the toilet bowl. As with all detox procedures, you may initially experience some reactions as your body is preparing for toxins to be eliminated. You may experience nausea, headaches, joint pains or skin breakouts. This is sign that the detox is working, but drink more water to help with the toxins elimination. Any symptoms might get a little worse before it gets better but stop, if you don’t feel right about it. Follow your gut feeling. I used to wonder how a clay bath can do anything good for me. Well, here are some of the amazing things it can do, and it just keeps getting better the more clay baths you have. In a large blender jar, add one cup of clay of choice and one cup of water. Blend and mix them into a paste. Add this paste to a standard size bathtub (about 25-30 gallons) water and stir it in. Pre-blending the clay makes it easier to dissolve them in the water. Run warm water as hot as can be tolerated to initially draw the toxins to the surface of the skin. As the water gradually cools down, the toxins will be pulled out through the skin. For your first bath, soak for only 20-30 minutes, gradually working up to 40 minutes as you take more clay baths. You can have this detoxifying bath 2-3 times a week, or even up to 5 times a week if you think you need and can handle it. After a bath, you may feel tired so having this bath in the evening will allow you to rest. This tiredness will go away in the morning and you will feel very refreshed and energetic. Read more here, on how to prepare your bathtub for your clay bath. The same principles apply. Adjust the amount of clay in the bathtub, and the frequency of your baths, according to your health condition. If there is a more serious ailment and you need more clay baths, more baths a week makes sense. Clay baths are non-toxic although you may feel some temporary detox reactions which are normal. 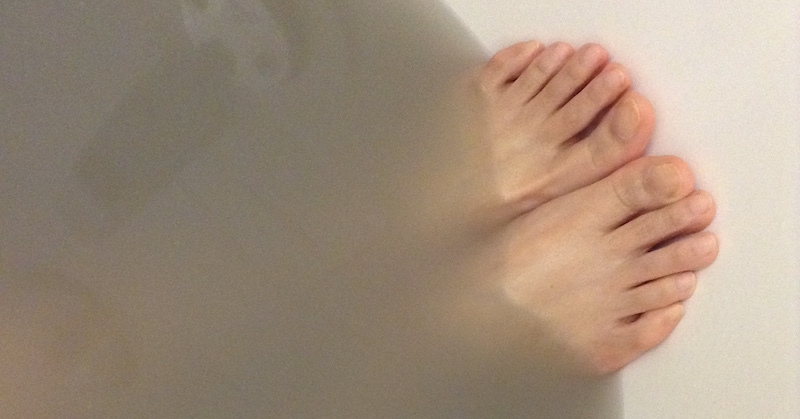 If you cannot do a detox bath, a foot bath in a large bucket using a lesser amount of clay will help too. Enjoy your clay baths and comment below if you have found it to be beneficial for you. My daughter-in-law is frequently suffering from athlete’s foot as she is on her feet all day and must wear shoes and socks. Do you think this clay bath would help? Although I am sure this would work well, it seems like it would be bad for your plumbing. I think a foot bath that could be dumped outside would be safer. Hi Laurie, the clay is very, very fine, almost like baby powder and it doesn’t clump, so it doesn’t clog the plumbing system.